The holidays are over, and the memories of folks reuniting with friends and family, eating good food, and most likely opening a present or two, will linger. It’s a safe bet many of those gifts were designed in Cupertino. That’s in addition to all the new e-readers, digital cameras, and other electronic devices unwrapped this season, and that means many people probably received upgrades to gear they already had. If you’re one of them, you’ve not only got a shiny new gadget to play with, you’ve got to decide what to do with your old device. You could always sell it on eBay or Craigslist, but there are other options that can do even more good in your community. We’ve all been given worn-out sweaters or an unused appliance, but not all hand-me-downs are created equal. Your old hardware could be a big deal to the younger or older user in your life who might be much more than a generation behind the latest technology. Devices that can inspire a new hobby, or enhance an old one, can make especially meaningful gifts. Your old digital camera might become a gateway into photography, for instance, and that first-generation Kindle can introduce a reader to a whole new way to love books. Even taking your gift’s recipient aside to explain how the device works can become a new way to spend quality time. Before passing on your old device, you’ll want to clean it and any of its accessories, so they look as close to brand-new as possible. If your device has built-in storage, like a Mac’s hard drive or a camera or iOS device’s flash memory, transfer any files you may need to your main Mac, then erase the old data. Our tips for preparing Macs for sale come in handy here, and for information about wiping your data from an iOS device, visit Apple’s link. 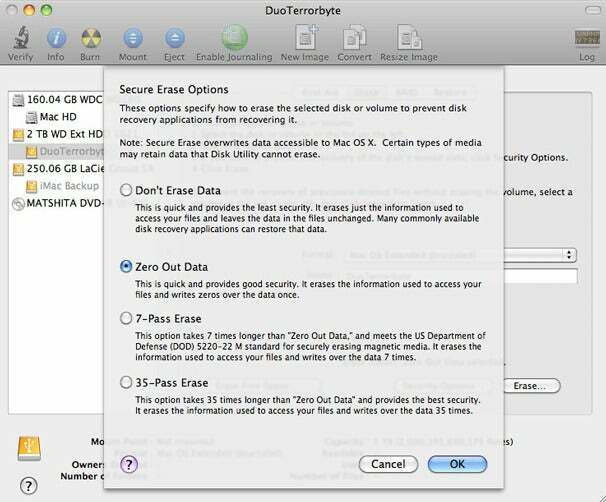 Give Securely: Before passing on your Mac, be sure to wipe its hard drive. There’s nothing wrong with hanging on to old gear, if you can find a new use for it. The TV that now seems a little small for the living room might be just right for the bedroom. Or that old iPod nano, rather than your brand-new iPod touch, can be your go-to jogging partner. Reusing these and other simple devices is straightforward, but a spare Mac or iOS device can have far more utility in a wider range of circumstances. An extra Mac can make a powerful file server, or, with an application like Printopia, an AirPrint server for your iOS devices. A Mac running iTunes can be a media server for your Apple TV, and an iMac can even be a spare TV itself with a USB TV tuner or a Netflix subscription. If you have children, a new computer is a great excuse to make the old machine a homework station. Don’t forget to visit System Preferences->Parental Controls to set up a kid-safe user account. Your old iOS device can be just as useful as a Mac, possibly in even more situations. Since music and movies bought from the iTunes Store will play on older devices, they can become a kid’s (or an adult’s) media player during long trips. Spare iOS devices also make great kitchen computers, letting you put all your recipes—even the grocery list—in one place so you can keep that new iPad looking shiny. 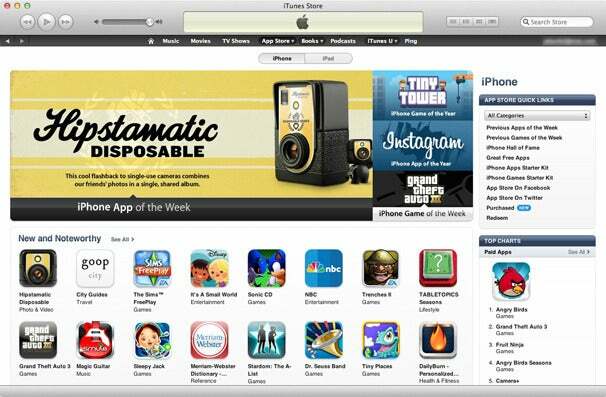 Thanks to the App Store’s vast catalog, the possibilities are almost endless. Decisions, Decisions: With so many apps available, it’s easy to find a new purpose for your old iOS device. If you can’t find a use for your old gear, a school or charity almost certainly will. That goes not only for Macs and other computers, but iOS devices as well. They can run a wide range of traditional educational apps, and they’re increasingly used as communications devices for students with disabilities. To do the most good with the smallest carbon footprint, look for organizations seeking donations in your area, and know what they need before showing up with a trunk full of equipment. Earth.911 offers a list of organizations that can help you get started. If a school or charity can’t accept your old hardware, a local second-hand store might. If your donation is tax-deductible, be sure to get a receipt noting its value and when it was made. 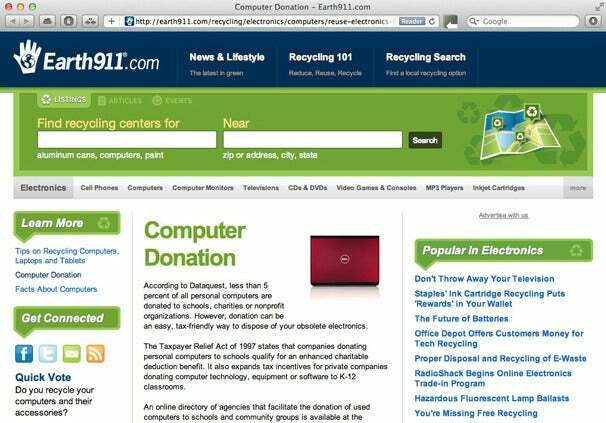 Think Green: Resources like Earth.911 can help find a new home for your devices. When your gear’s age or condition makes giving it away impossible, it’s time to send it to the recycling bin. There’s plenty of room for improvement, but recycling has become much easier than it used to be as companies recognize the problem of e-waste. In addition to your local recycling center, stores like Staples, Target, Best Buy, and others accept electronics and peripherals like printer ink cartridges even if you didn’t buy them at the store (eligible items will vary by state, however). Apple’s recycling programs let you recycle Mac batteries and iPods in its Apple Stores (the latter for ten percent off a new model), or you can mail iPods and any mobile phone to Apple for recycling. You can also ship them your old iPhone, iPad or any model computer in exchange for an Apple Store gift card for the estimated value of your device. 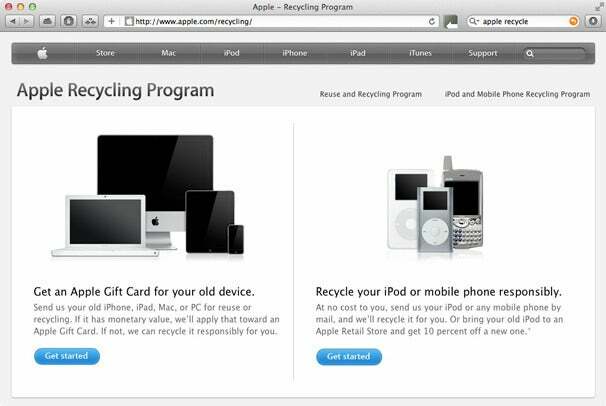 Recycling Aluminum: Apple can turn your old devices into store credit. Whatever you decide to do with your old hardware, don’t put it off for long. The holidays can make it all too easy to forget your unused devices and let them languish in a drawer or closet where they won’t do anyone any good. The sooner you put them to a new purpose or get them out of your house, the sooner they can be useful to someone else. Apple replaces its compact flash-based music player with a second-generation shuffle that's half the size of its predecessor. The silver shuffle comes in only one capacity -- 1GB -- and adds a built-in clip to easily attach the music player to your clothing. The headphone jack also serves as the connection to sync and charge the shuffle. In September 2007, Apple added four more colors to the iPod shuffle line; otherwise capacity, battery life, and price remain unchanged from the 2006 models.